Over 60 Professional Engineers licensed in Florida have been disciplined for failing to complete the required 18 hours of continuing education during the 2015-17 renewal period, and two cases are still pending before the Florida Board of Professional Engineers. As part of the online renewal process, PEs attest that their CE hours have been or will be completed by Feb. 28 of the renewal year, as required by Rule 61G15-22.006, Florida Administrative Code, Demonstrating Compliance; Audits; Investigations. FBPE will again be conducting random audits later this year to confirm that PEs have done their CE by the close of the current biennium. 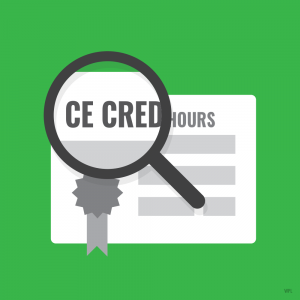 CE providers must furnish completion and attendance certificates to course participants, and PEs are required to maintain those records for four years (or two bienniums). If selected for the audit, a PE must produce those records as proof that he or she completed 18 hours of CE within the two-year period. Failure to produce those documents could result in a reprimand and $1,000 fine or suspension of license until the PE demonstrates compliance. In 2017, 3 percent of PEs were randomly selected from among Florida licensees for CE audits as required by the rule. FBPE investigators opened 104 initial complaints. After review, two were closed because the PEs were incorrectly listed as non-compliant and complaints should not have been opened; and another was closed because the PE was deceased. Of those complaints, 101 were investigated, and 62 of those could not demonstrate they had completed the CE requirements. The 62 PEs who have recently been disciplined will be audited in the coming months along with the randomly selected PEs. PEs found in violation a second or subsequent time could have their license revoked.